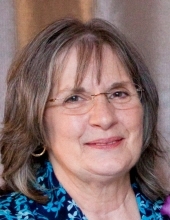 Kay Ann Benotsch, 74, died peacefully November 7, 2018 at The Bridges of Appleton nursing home. Kay was born October 15, 1944 to Don and Sharleen (Feuling) Zentner. She grew up in the Pheasant Branch area of Middleton, a suburb of Madison, with two of her brothers and two cousins who were almost like sisters. Two younger siblings, a brother and a sister, came along later. Kay was smart and clever, with a sense of humor. Playing Gin Rummy with her family, she had the unnerving ability to declare "Gin!" having never re-arranged her cards to put together books and runs. She graduated from Middleton High School in 1962. She attended Mercy Hospital School of Nursing in Oshkosh, and graduated as an RN in 1965. Kay settled in the Fox River Valley. She married Edward Benotsch on February 5, 1966 and later divorced, after raising two caring and intelligent sons. Kay was a brilliant nurse, employed for many years by St. Elizabeth Hospital in Appleton. She worked in the medical unit, and later worked the night shift in oncology. Unfortunately, chronic illness forced Kay to leave nursing and retire early. Kay had a lifelong love of reading. Mystery novels were her favorite, but she also enjoyed biographies and other writing. Agatha Christie and Sue Grafton were among her favorite authors. Kay is survived by her sons, Eric, his wife, Lusanna, and his son, Keenyn; Matt, his wife, Jessica, and his son, Eddie; and by her siblings, Keith, Kirk, and Diane. She is also survived by her nephews, Jeff and David; her niece, Karen; and her cousins, Frayne, Tracey, Dina, Kent and Scot. She was preceded in death by her parents, her older brother Dean, and her niece Theresa. A private family gathering will celebrate Kay's life, at a later date. If you wish to honor Kay's memory, we suggest you support your local library which you can do in a number of ways. Volunteer your time, donate money or books, share your library's social media posts, or ask the library staff about other ways to get involved and help those who depend on the library. To plant a tree in memory of Kay Ann Benotsch, please visit our Tribute Store. "Email Address" would like to share the life celebration of Kay Ann Benotsch. Click on the "link" to go to share a favorite memory or leave a condolence message for the family.